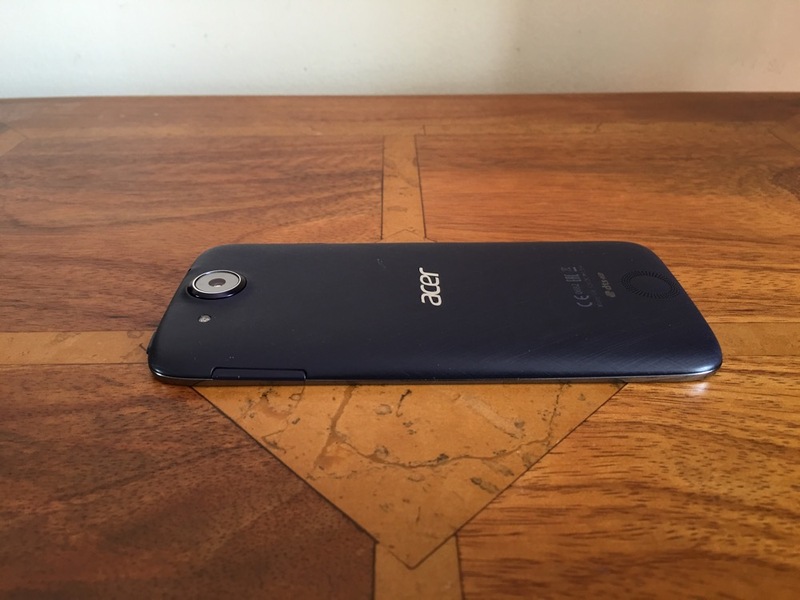 Welcome to my review of the Acer Liquid Jade S smartphone. 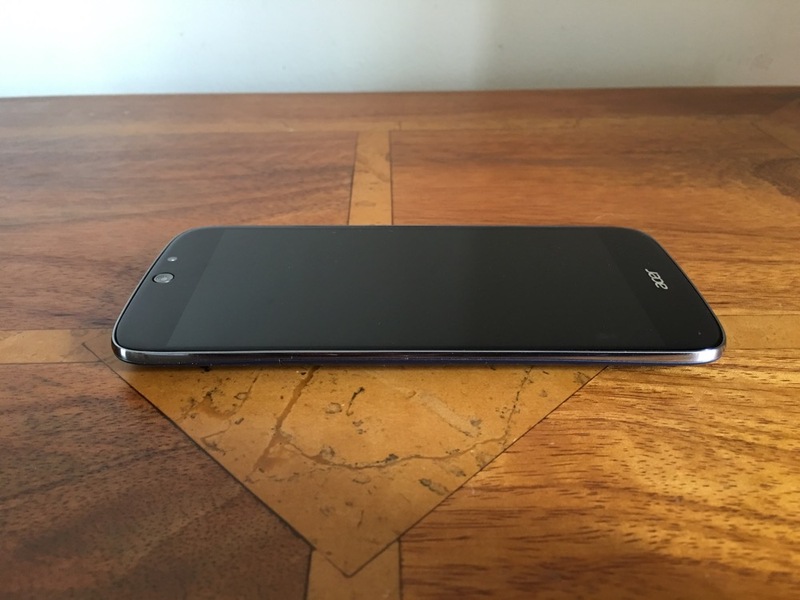 The Acer Liquid Jade S was kindly loaned to me for this review. Removing the Acer Liquid Jade S from its box and I thought for a moment the battery needed to be fitted as it felt too light. In fact, the battery was inside the phone, it just weighs a mere 120g. It is also narrow and thin at 7.78mm and with its 720p 5 inch screen a good phone sized phone. Being so thin did have an impact on battery life, with the end result of just making it through a working day. However, the plastic back did feel a little slippery and with the power button on the top, not an easy position to keep reaching especially with the back being so slippery. After reviewing a few Acer devices a pattern emerges with the same mix of apps added. The Liquid Jade S is no different. It includes Acer’s BYOC (bring your own cloud) suite of apps, Acer NAV (a rebadged TomTom) and a whole range of extra apps, some of which are more bloatware than anything else. It does include a FM radio, a torch light app and polaris office 5. Otherwise it is stock android, albeit android 4.4.4. NFC is not included. Now I mentioned it came with android 4.4.4 but after a few days lollipop 5.1 OTA arrived at a download size of 0.9mb. However, you need a micro SD card in the phone to download and then install it. Other extras include DTS HD Premium sound, with further EQ adjustments. These can be used with headphones and the loudspeaker. On screen gestures exist, 4 in total eg. drawing a Z opens the music app. L unlocks. There is also an option for a scheduled power on and off. The 720p is clear and bright with good viewing angles. Call quality was reasonable and cell signal seemed ok too. So apart from its thinness at 7.78mm and weight at 120g and overall smallish profile, what else is special about the phone? Now let’s talk about the camera. The rear camera is a 13mp with an impressive f/1.8. The camera app includes a whole range of shooting modes from HDR, panorama, beautification, best shot, bright magic, smile shutter, picture with sound, multi angle view, presentation, dual shot and gourmet. Then you have scenes from auto, landscape, night, portrait. You can shoot with 4 different effects – mono, sepia, negative and aqua. You can operate the camera via voice control as well. Video offers a time lapse mode too with 1, 2, 5 and 10 second intervals. Fine tuning is available for ISO, white balance, saturation, contrast, colour and exposure. If you want to be in the photo as well, a timer with 5, 10 or 15 seconds delay is available. Video electronic stabilisation is available too, with 1080p recordings. Other options are also available, however I must admit the camera app is not laid out as logically as I would have liked, nor is it quick to switch between different modes. So let’s take a look at some camera samples. I thought some of the camera shots looked slightly over exposed, and there is soft focus on the edges of some the photos in places. Low light and macro shots were a struggle. What do you think? Tap on each photo and select full resolution.The front camera also slightly over exposed shots. The loudspeaker is on the rear and can be easily covered by accident. It sounds tinny and is not the loudest out there. The sound via headphones was quite reasonable. USB Audio is not supported. The Acer Liquid Jade S is an unusual phone and bucks the trend in many ways with its slim and light weight design. With its recommended retail price of £199, it finds itself with tough competition that offers more and often for less money too.